Bostik Kabaddi is a videogame I made just to have fun and experiment with 3D physics. Code, some 3D models and musics are mine. I borrowed the sound effects from freesound.org and the building models from the White City asset on the Unity Asset Store. 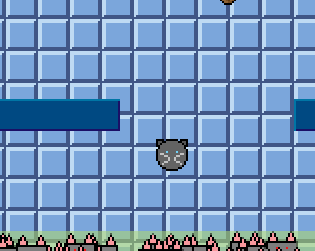 GattoMagico is a videogame I made for the Ludum Dare 35 compo. I created all the assets, from graphics to sound and music. I also developed all the code. 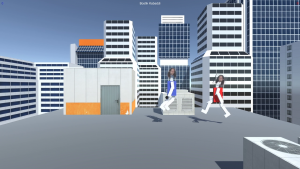 The game uses my own engine on top of Unity. All graphics has been made in PhotoShop. Music has been created in Propellerheads' Figure (best money spent on a mobile app ever!). 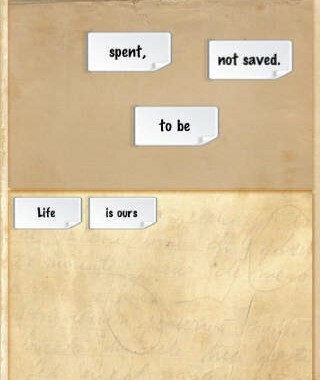 The Poet is a word puzzle game for iOS where you have to reorder the words scattered on different tiles so that they make an aphorism. You have to drag and drop words on the screen and reorder them to compose an actual famous sentence. As you progress through the levels you have less and less time to solve the puzzle and the number of tiles increases. integration with social networks like Facebook and Twitter. You can post your scores and achievements and ask your friends to beat you if they can! I wrote most of the code. Forks & Porks is a game I made for the Ludum Dare 34 compo. I created all the assets, from graphics to sound and music. I also developed all the code. 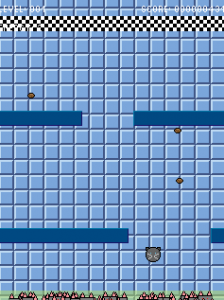 The game uses prime31's Nez framework on top of MonoGame.